Our Recipe of the Month is the smoked meat sausage. This recipe features the smoked meat sausage seasoned binder 2A5J027. 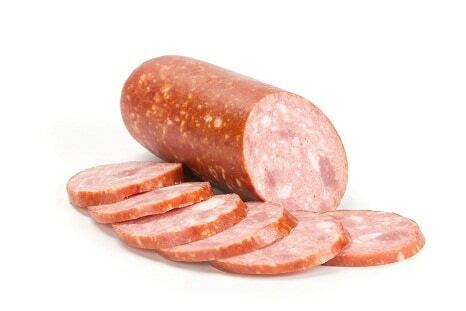 Widen your selection of cold meats by offering your customers this new cooked sausage! 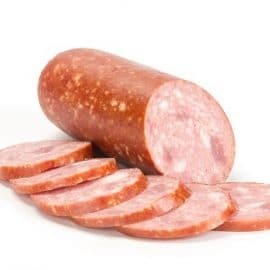 The smoked meat sausage is a salami with the taste of the famous smoked meat. It can be prepared with pork and/or poultry. The smoked meat sausage is prepared using the same method as any other cooked sausage.